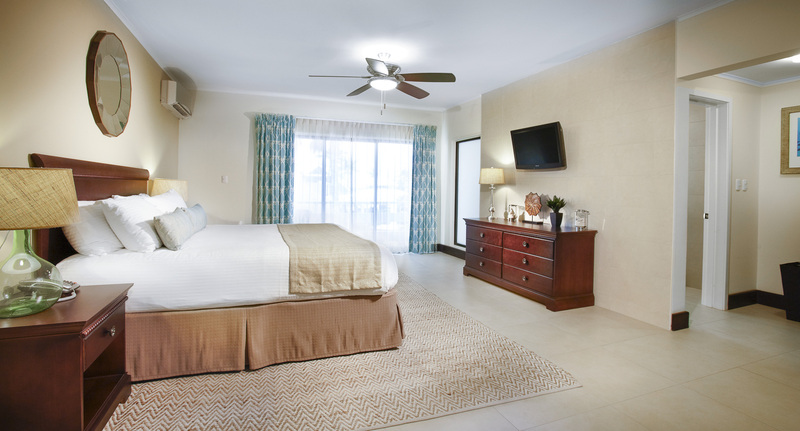 Our 72 guest rooms blend contemporary island style with the modern day amenities and services most appreciated by travelers. A soothing color palette of turquoise and sand sets the stage for an array of organic textures and original island images captured by photographer and architect James M. Hoy. 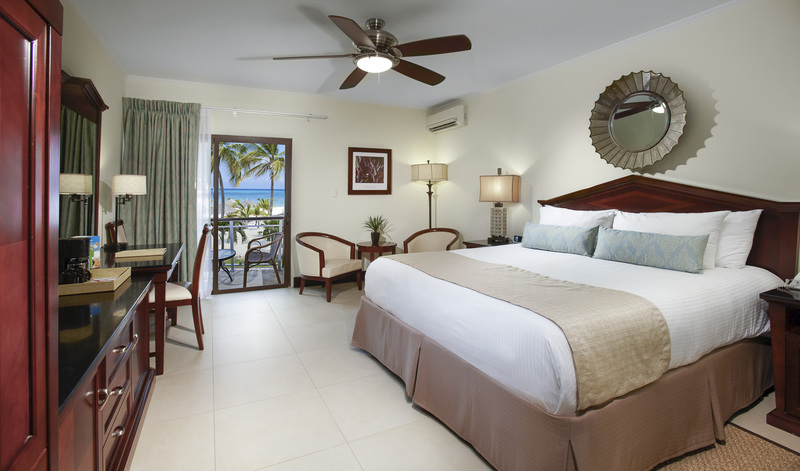 Tucked in two ocean-facing buildings rising no taller than the coconut trees that surround them, our guest rooms offer the ultimate tropical vacation experience on Aruba’s celebrated Eagle Beach. Private furnished balconies and patios beckon guests to relax over morning coffee or wind down with an evening cocktail. 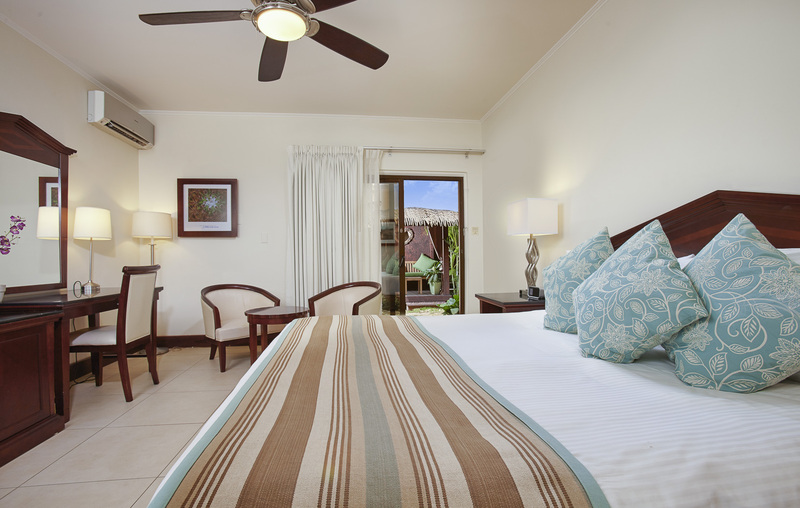 Our Deluxe Ocean View Rooms overlook beautiful Eagle Beach and the resort’s collection of thatched-roof palapas. Spa-inspired bathrooms feature marble and cherry wood finishes and have premium bath amenities and zero-entry showers with rainfall shower heads. 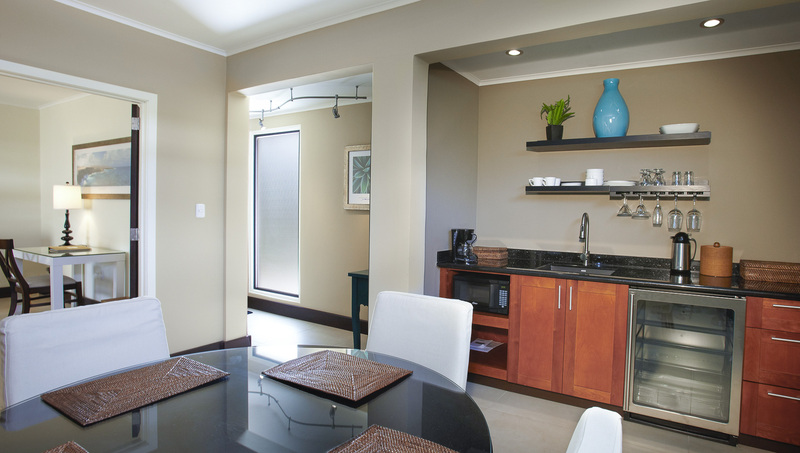 This partial ocean view room includes a spacious work desk, sitting area, armoire and refreshment nook with mini-refrigerator, microwave and coffeemaker. 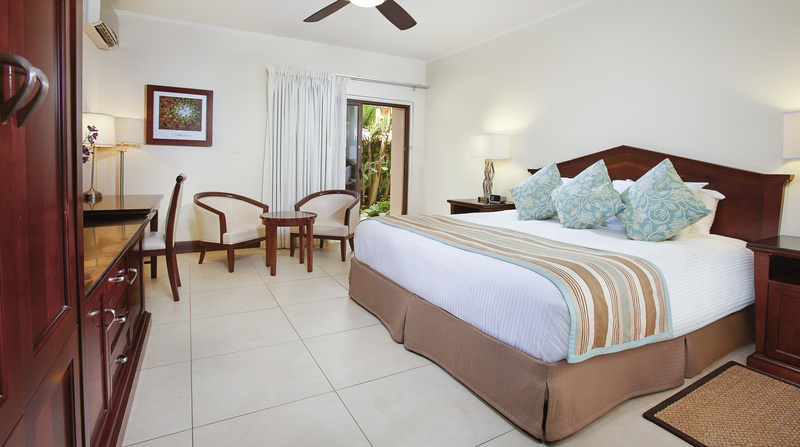 Our freshly renovated Deluxe Garden View Rooms overlook lush tropical gardens filled with jasmine, oleander, areca palms and banana plants. 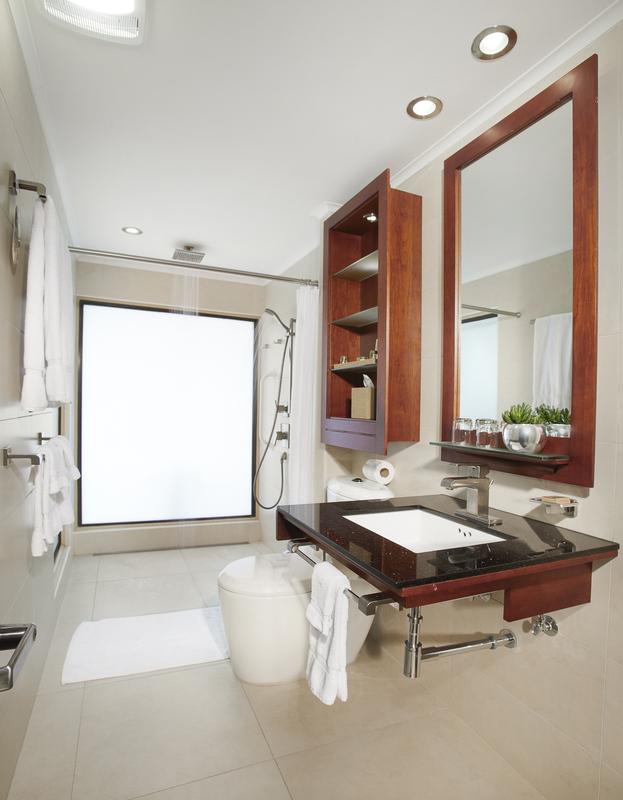 New bathrooms mix marble and cherry wood finishes and feature premium bath amenities and zero-entry showers with rainfall showerheads. Furnishings include a spacious work desk, sitting area, armoire and refreshment nook with mini-refrigerator, microwave and coffeemaker. 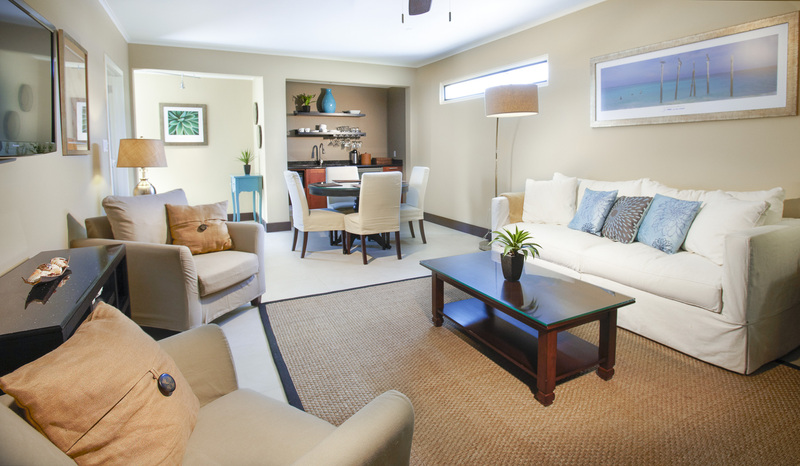 Our one-of-a-kind Deluxe Ocean Front Room is just that – a singular retreat with an oceanfront view of Eagle Beach. This guest room, a favorite of honeymooners, features a comfortable sitting area, private furnished balcony and plush king bed. A bathroom is finished in marble and cherry wood and features premium bath amenities and a zero-entry shower with rainfall showerheads. Furnishings include a spacious work desk, armoire and refreshment nook with mini-refrigerator, microwave and coffeemaker. 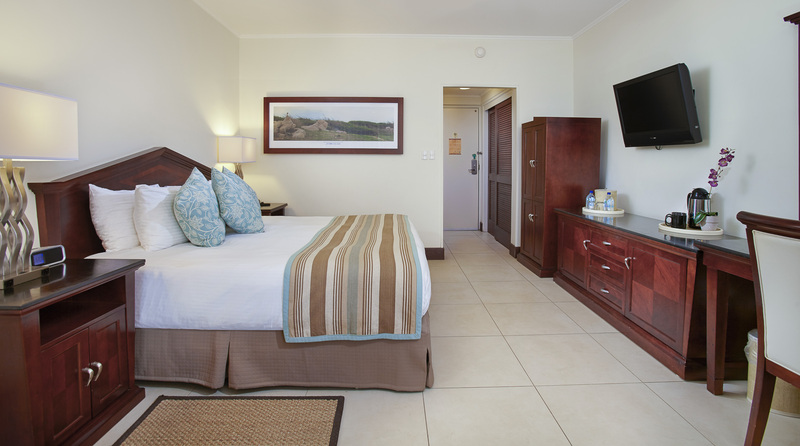 A tranquil retreat, our renovated Deluxe One Bedroom Suite is beautifully appointed in soft neutrals mixed with warm woods and organic textures. Serene and sophisticated, it features a private furnished balcony; living/dining room with upholstered furnishings and 42-inch LCD flat-screen cable TV; a dining area with table for four and well-equipped kitchenette with granite counter, wine refrigerator, microwave and coffeemaker; and a spacious spa-like bathroom with premium bath amenities and a zero-entry shower with rainfall showerhead. 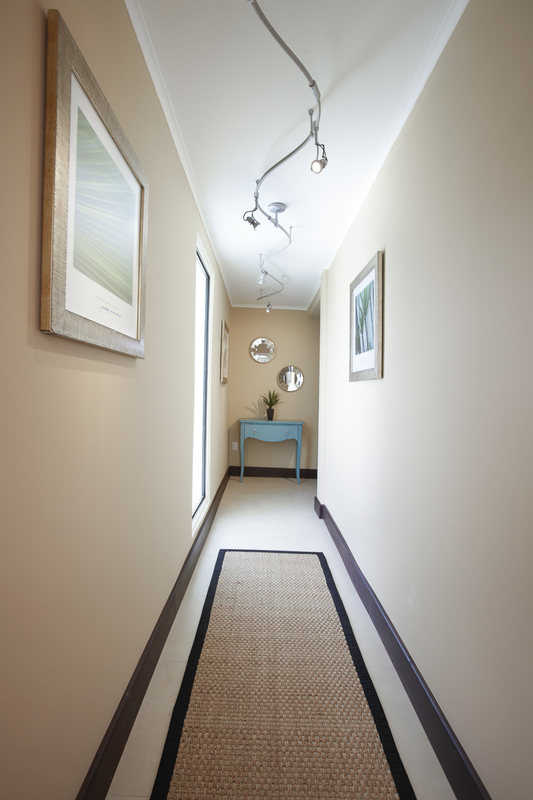 The resort is committed to providing its guests and associates with a smoke-free environment. Most of our guests favor a non-smoking hotel environment. The only way to provide this experience is to not allow smoking within the public buildings. We do provide designated smoking areas outside the building to accommodate the needs of guests who smoke. All rooms and room balconies/patios are non-smoking. Please note that a cleaning fee of $300,- will be charged to your account if smoking has occurred in the room during your stay. Smoking is allowed at dedicated outdoor sections of Ike’s Bistro, Pega-Pega Beach Bar & Grill and The Chophouse. Please ask the restaurant for the outdoor area where smoking is allowed when being seated.